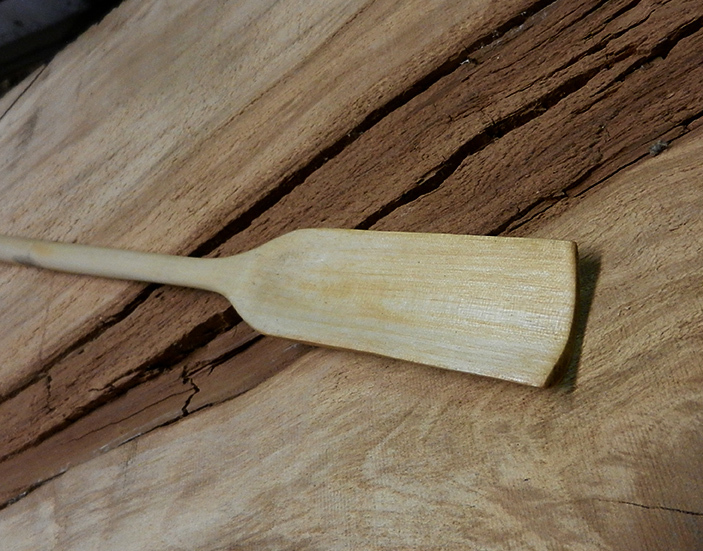 Spoon out of brich-wood. 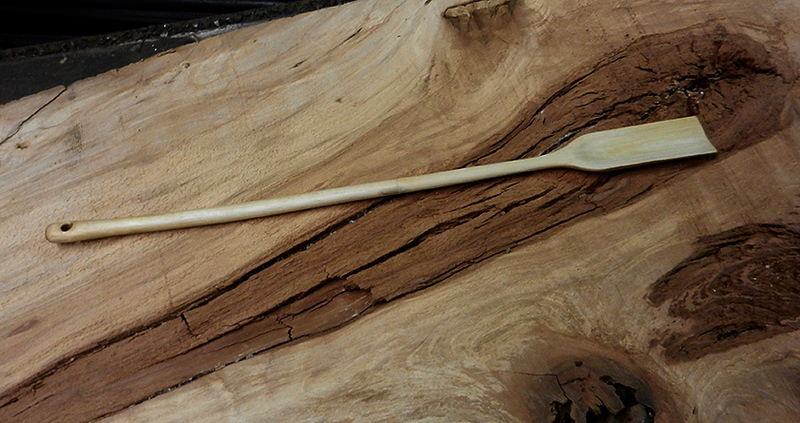 Very long and skiny spoon. 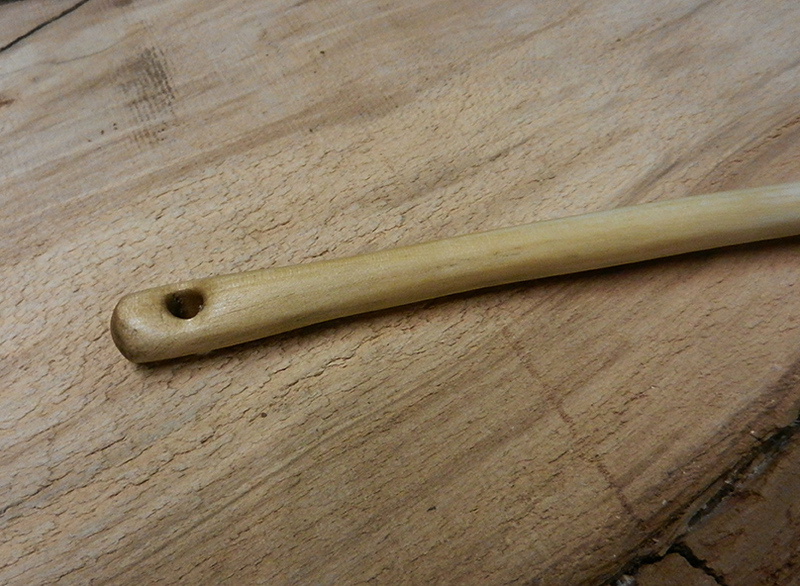 Elegantly carve, with in the handle a tiny hole with a leather rope. Very nice in your Landhouse kitchen.